Despite calls to step aside and concerns about mysterious health problems, President Muhammadu Buhari of Nigeria on Monday declared his intention to seek re-election next year, ending months of speculation. In a closed-door meeting of the National Executive Committee, after national news outlets had left the room, Mr. Buhari, 75, announced that he would run again, according to people who were present and briefed reporters afterward. They said he had told the committee that he was responding to popular demand that he seek another term. 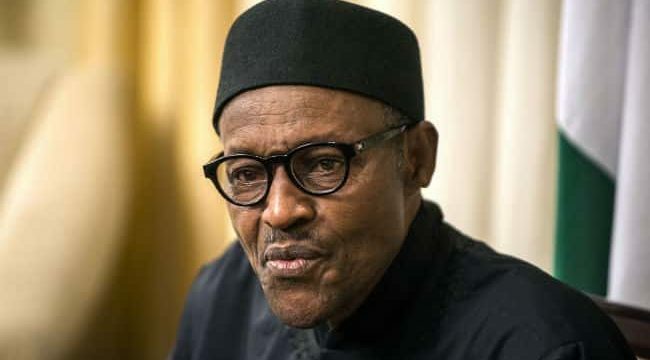 Mr. Buhari has faced widespread criticism over his government’s inability to defeat the renewed Boko Haram insurgency in the northeast, or to end violence between herders and farming communities. Last year, he spent nearly four months in Britain receiving treatment for an illness that the government has not disclosed, leading to fears that he would never return. Some voters may see a second term as a steadying force, and his supporters have argued that Mr. Buhari, a former army general, needs more time to battle Boko Haram, and to defeat corruption and other entrenched economic problems. Last week, his government made a statement urging Nigerians to “count the blessings that the administration has brought to the country’s economy,” citing a World Bank report ranking the nation as one of the top 10 in the world in making economic overhauls. But over the past year, calls for him not to run again — or even to step down before his current term ends — have grown steadily. Two former presidents, civic leaders, opposition politicians and even some of Mr. Buhari’s former allies have said he should make way for a younger generation of leaders. Within hours of announcing his intention to run, the president traveled to London to attend a meeting of Commonwealth leaders. His office did not give a date for his return, leading to renewed rumors in the Nigerian capital, Abuja, that Mr. Buhari would once again be receiving medical attention in London. Mr. Buhari enjoyed widespread support after winning the election in 2015, but it dissipated as Nigeria suffered through a recession in 2016 and 2017, and new attacks from Boko Haram, the Islamist rebel group. “The herder-farmer conflict, rural banditry and the increase in kidnapping are being discussed more openly and government performance being judged more critically,” she said. The highest-profile challenger to emerge so far is Atiku Abubakar, 71, a former vice president and wealthy businessman who has said he will run in 2019. The election is expected to be held in February. To remind Nigerians of Mr. Buhari’s appeal, his office has released pictures of crowds warmly greeting the president in several visits to mostly northern cities, his base of support. Mr. Buhari’s return to Nigeria last August only partially eased the fevered speculation about his health. When Mr. Buhari worked from home for several weeks, his spokesman explained it was because of the presence of rats in the president’s office. He became the subject of widespread ridicule in Nigeria. That ridicule turned to anger in February, when Boko Haram abducted 110 schoolgirls in Dapchi, in the northeast. The president had insisted for nearly two years that the group had been defeated, and the abductions led to new questions about the government’s security strategy and its response to the kidnappings. In March, 104 of the girls were returned to the town after successful negotiations between Boko Haram and the government. The militants drove the girls back into the town, preaching to locals against enrolling their children to school in an unprecedented propaganda effort. Under Mr. Buhari, the government has also negotiated the release of more than 100 of the girls Boko Haram captured in Chibok in 2014, before he took office. As a general, Mr. Buhari headed the Nigerian government from 1983 to 1985, following a military coup. Years later, he ran for president several times before being elected.